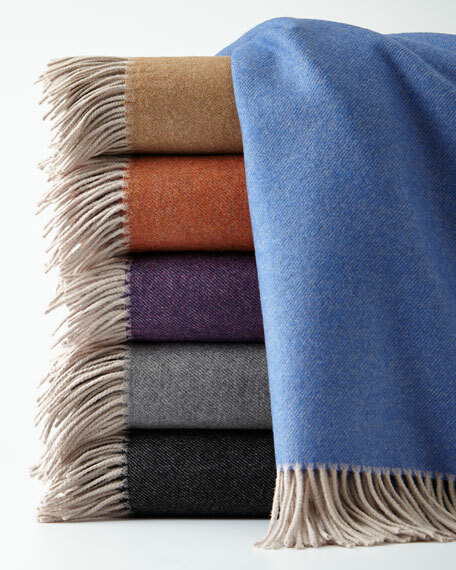 Merino wool throw with subtle twill weave. Finished with fringe at each end. For in-store inquiries, use sku #1921011.